OnePlus was revealed the OnePlus 5T at an event in New York last week. Now, the device that has been touted by many as the true flagship killer is hitting Indian markets today. Amazon will be putting the device on sale at 4:30 pm today. Amazon is offering an instant discount of Rs 1,500 on payment with HDFC debit and credit cards. The e-tailer is also offering Rs 500 worth of promotion credits to buy Kindle e-books. Idea customers will get 1000GB data for 18 months. Servify will also offer damage insurance of 12 months free of charge. The new OnePlus 5T will bring OnePlus back as a top contender of the premium smartphone segment. The year 2017 has undeniably been the year of bezel-less screens and OnePlus, despite being in the premium segment was missing out on the biggest trend. The OnePlus 5T is here to take care of that. OnePlus' 5T has been launched with 6-inch optic AMOLED screen with extremely narrow bezels. The company claimed that they entered the race late but that doesn't necessarily mean that its a bad thing. 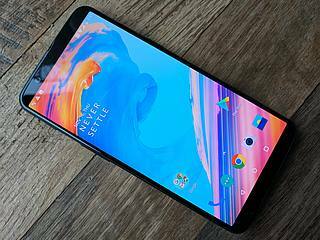 Referencing to the recent issues faced by Google Pixel 2 and Apple iPhone X, OnePlus assured it's customers that the OnePlus 5T was given ample amount to time to be free of issues. During the launch event, OnePlus was quick to take digs on Apple's and Google's recent failure with OLED and AMOLED displays. Another big change, the camera comes with substantial upgrades to the portrait mode and low-light imagery. 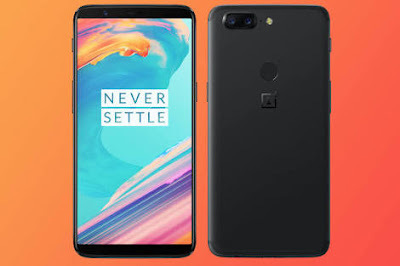 With aggressive prices comparable to last year, OnePlus aims to tackle industry giants like Google, Apple and Samsung by offering a similar package in almost half the price. The 6-inch optic AMOLED display leaves out narrow bezels on all four sides on the device. The increased screen size amounts to a 80.5 per cent screen-to-body ratio. The company has placed all the sensors and the 16Megapixel camera above the display. For protection, OnePlus has used Gorilla Glass 5. The OnePlus 5T will be first device from the company to feature an immersive display with a resolution of 18:9. The screen has been equipped with SUnlight Display which adjustrs to the ambient light and activity to create optimum viewing experience. OnePlus 5T and OnePlus 5 internals are identical as far as processing power is concerned. The device is powered by an octa-core Snapdragon 835 chipset clocked at 2.45GHz coupled with Adreno 540 GPU. This comes paired with 6GB RAM for the 64GB internal storage variant, and the higher 128GB variant gets 8GB of RAM. The OnePlus 5T will be running OxygenOS based on Android 7.1.1 Nougat. App launching speeds have been improved too, OnePlus claims, with the refined Oxygen OS with App Priority feature, newly incorporated in the OxygenOS. 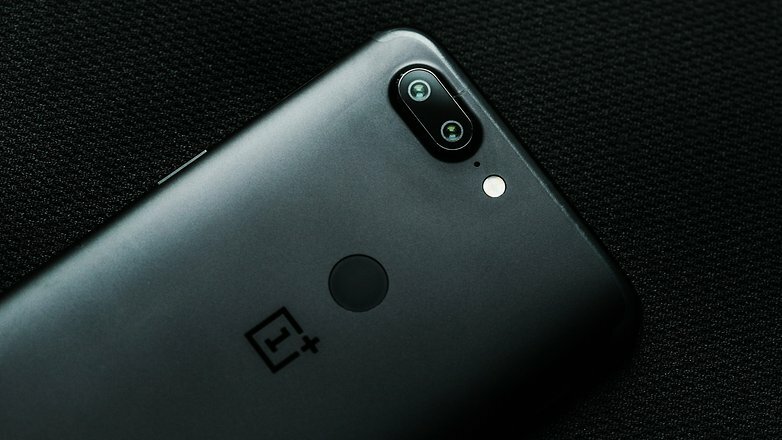 The OnePlus 5T camera has been touted as a low-light expert and that might be true considering that the primary camera comes with aperture of F/1.7. Within the dual-camera setup, the device houses one 20Megapixel sensor and another 16Megapixel module. Another aspect that the compnay has improved with the dual camera on OnePlus 5T is portrait photography. The OnePlus 5T also comes with refined Electronic Image Stability (EIS) for better video and image stabilisation. With the 5T, OnePlus is bringing Face Unlock feature, which the company claims can unlock the device in 0.4 seconds flat. The feature detects eyes and nose contours of the user and to deliver 99 per cent success rate even with scarves or while making funny faces. The Face Unlock, however, canot be used with apps dealing with with sensitive information payment details, for the sake of data security. For connectivity, it will have a USB 2.0 Type-C jack and a 3.5mm audio jack. The OnePlus 5T will come with a dual-nano SIM slot too. It also comes with an easily accesible Alert Slider which can be used even when the phone inside a pocket to toggle between three notification settings - Ring, Do Not Disturb and Silent. OnePlus has designed the OnePlus 5T with a single metal chasis with optimised ergonomics to save the device from looking like "an uninspired brick". The OnePlus 5T comes with a arced design which makes the phone more ergonomic and flexible. Also, as the home screen has been dumped to make space for a larger screen on the OnePlus 5T, the fingerprint sensor has been shifted to the back. The OnePlus 5T will be powered by a 3,300mAh battery equipped with Dash Charging, which is capable of can deliver up to 19 per cent battery in as little as 6 minutes.